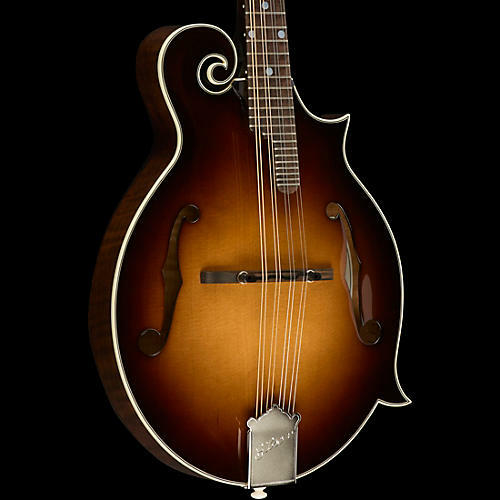 Even with its simple appointments, the Gibson F-5G Mandolin is one gorgeous instrument. The bound scroll work meets Gibson's toughest standards, the same standards used on the F-5L with top-grade materials and impeccable craftsmanship. Carved spruce top and solid maple back and sides, extended ebony fretboard, and tuned parallel tone bar produce unsurpassed tone.